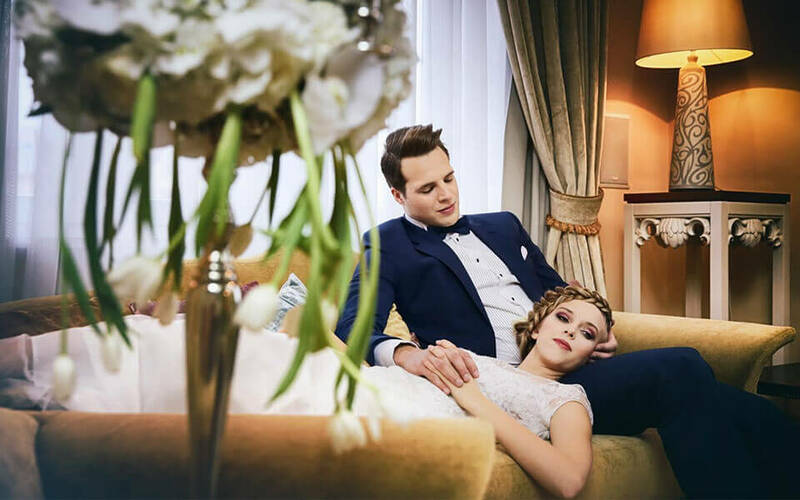 Choosing a wedding venue at such a pleasant resort location like Sopot is an excellent beginning to an unforgettable day full of beauty, elegance, emotions and affection. We guarantee that a wedding reception at the "Pasjami..." Restaurant at Hotel Rezydent will be just that: stylish, exquisite, with kind-hearted atmosphere... simply magical. We know that this day is one of the most important in your lifetime, so we treat every wedding as a significant event for all of us. Our refined wedding menu is comprised not only high quality dishes but also an elegant way of serving them. This is why at the "Pasjami..." Restaurant we focus on selecting a proper menu and on the aesthetic value of the dishes, taking the guests’ preferences and special dietary requirements into account. We also offer additional options such as enriching the menu with regional touches, sweet attractions for children or national cuisine dishes. 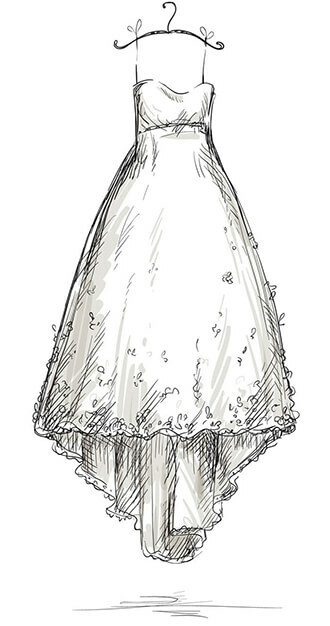 Wedding in winter? It`s worth it! 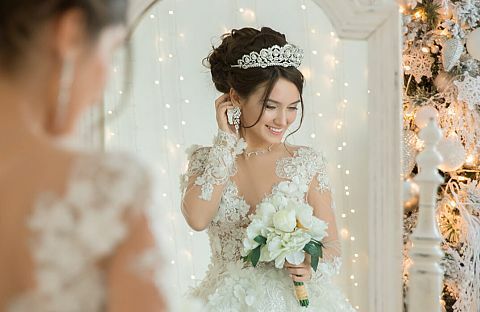 We work with trusted partners to assist the bride and groom in arranging a professional photo shoot, ordering a wedding cake, and selecting flowers and decorations. At the "Pasjami..." Restaurant we organise both small, intimate wedding dinners as well as wedding receptions for 80 people with dancing until dawn. Together with the bride and groom we prepare the room layout and table and buffet arrangement, ensuring comfort and aesthetics. Organising transport for the guests is an additional burden on a young couple. 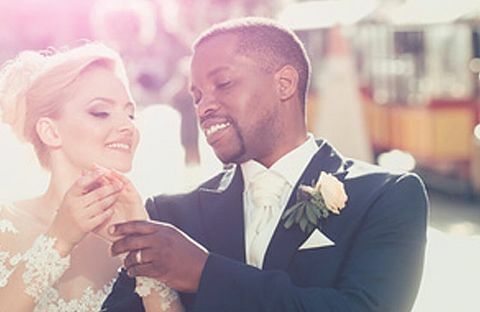 Due to the excellent location of Hotel Rezydent, it is worth considering having the ceremony in one of the beautiful neighbouring Sopot churches or the General Register Office, thus avoiding the need to plan transport for the guests after. Fantastisk mat, romantiske lokaler og flinke folk over hele linja. Polsk tradisjon med mat og drikke overgikk våre forestillinger over vårt bryllup, og våre gjester gikk Mette og fornøyde hjem. "Fantastic food, romantic rooms and good people across the board. Polish tradition of food and drink surpassed our performances over our wedding, and our guests went satisfied home." "Fantastisk mat, romantiske lokaler og flinke folk over hele linja. Polsk tradisjon med mat og drikke overgikk våre forestillinger over vårt bryllup, og våre gjester gikk Mette og fornøyde hjem." 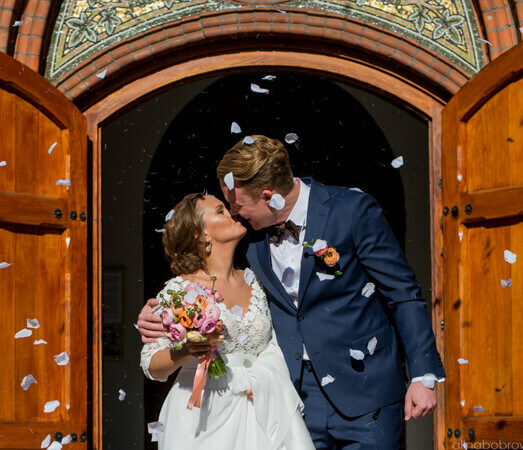 In July 2018 we hosted our wedding at the Rezydent Hotel in Sopot. We could not have asked for a better, more professional, and excellently executed venue to have done so. The team could not have been more organised, and could not have been more helpful before and on the day. We also stayed in the Suite for the week, which was comfortable & clean. Overall I would recommend this venue to anyone looking for a great place to have your wedding! Thanks to all the team! Hotel Rezydent and restaurant Pasjami is everything what we were looking for our wedding location. Special, one of the kind, beautiful, with amazing food, center located and just have this “something”. What more, when you become bridezilla, there is only one person that can help you. And no, is not your husband-to-be. 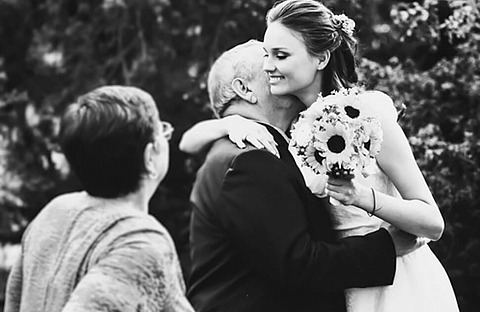 Is the person that helps you organize your wedding. Miss Monika Oles is the best person in this role I ever met. She drinks patience instead of a coffee in the morning. She can advise on everything you will ask, and learn with you on the way. Thanks to her our wedding preparation went smooth and without any stress. I can just highly recommend this hotel and Miss Monika – for your not-only-wedding organisation. In mid-June I had my private wedding at Hotel Rezydent. We are very pleased with the venue we chose. The staff was very professional and the food was really delicious. Everything that we’d planned was delivered 100%. Thank you to Mrs Monika and all the staff! On 4th February 2017, we had our wedding reception at Hotel Rezydent. We decided to check out this venue because our friends recommended it and after having a wedding reception there, we can definitely recommend Hotel Rezydent to other soon-to-be newly-weds. We contacted Mrs Iwona about all matters connected with our wedding and later Mrs Monika was responsible for organising our wedding (until the reception). During preparations both women showed their true professionalism, responding to all our requests and solving any potential difficulties with a smile. The entire staff made the same positive impression on us and the top-notch hotel service delighted our guests. It was the same with the dinner and other dishes. Everything was finely served, and, what is most important, really delicious (including the vegan and vegetarian food). An additional advantage of having a wedding at Hotel Rezydent is the accommodation in the Sopocki Suite for the newly-weds. The amazing interior makes for the perfect background for wedding preparations. 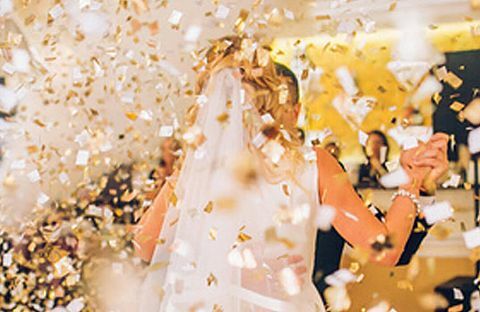 To sum up, Hotel Rezydent is the perfect venue for couples who dream of an exquisite and rather intimate urban-style wedding reception (the room holds 80 people). We recommend it from the bottom of our hearts. Thank you once more! Last September me and my fiancée had our wedding reception organised at Hotel Rezydent. We couldn’t have made a better choice! The “Pasjami” Restaurant room is so fine and elegant that all additional decorations were redundant. The food was excellent. Dinner and all buffets were simply delicious and served with the utmost attention to detail. Our guests were delighted and impressed by the venue, ambience, service and food. The staff was very professional. Mr Michał, thank you for making the event run smoothly and without any problems. While organising a wedding at Hotel Rezydent, the newly-weds may stay in the Sopocki Suite. I can honestly say that it’s the most elegant suite of all four-star hotels in entire Tricity. I truly recommend it! The hotel was just perfect. We were really pleased and we recommend the venue to anyone organising a wedding reception. Beautiful interiors, an excellent menu, with the Sopot-style duck stole the spotlight, kind and helpful staff and very good relations with the manager. We are very pleased with the hotel services, the rooms were clean and well-furnished, providing proper comfort and a good-night’s sleep. The Sopocki Suite complemented the charming ambience of the entire event, giving us a place to rest and relax after the reception. 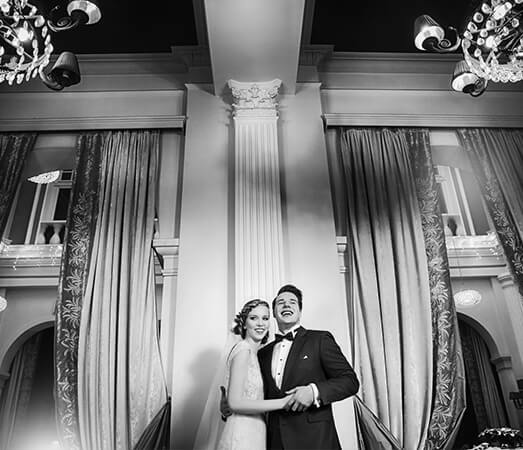 We decided to have the wedding reception at Hotel Rezydent on the spur of the moment and if we could do it again we wouldn’t change a thing :) The entire ambience of the venue is created by the professional staff. The food is exquisite but, at the same time, very Polish and seems home-made in a way. The interiors feature a mix of colonial style with elements of old Sopot architecture. On 6th August 2016, we had a wedding reception at Hotel REZYDENT. The reception was wonderfully organised with very fine and elegant cuisine. Mrs Iwona, who is a truly devoted professional, helped us with all preparations. The waiters are incredible and do their job excellently. Highly recommended! Professional organisation of the wedding reception. 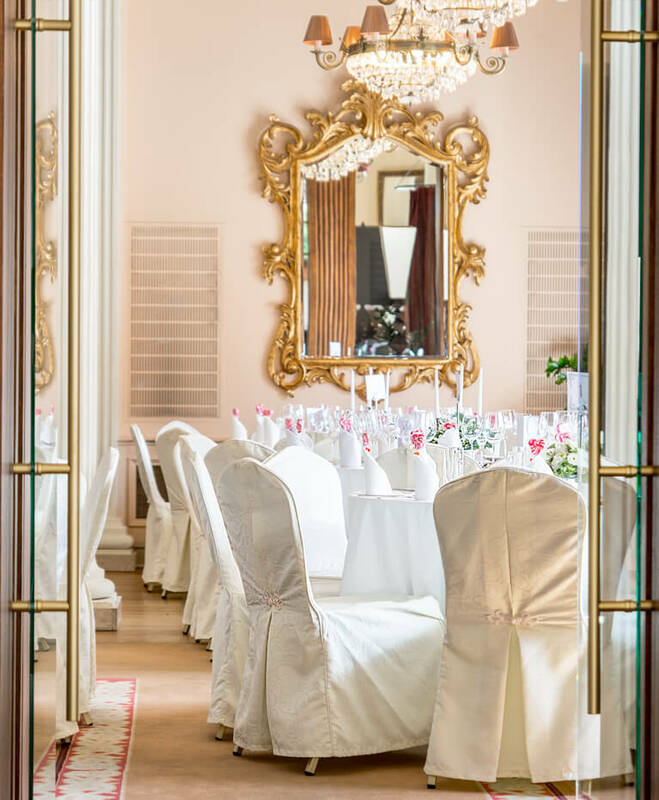 Thank you very much for helping us to organise the event, for excellent advice and thank you, Mrs Iwona, for your professional attitude and for handling everything so that we could enjoy our special day without any stress. Very elegant menu, the food was delicious (the fine duck was mentioned even the next day by the guests!) :) The waiters also did an amazing job. I’m really glad that we chose your hotel and restaurant for our wedding reception. It’s the second wedding in our family organised at the hotel and I don’t think it’ll be the last one. We would like to thank you for everything that you did to make our wedding reception so perfect :) We were extremely pleased. Everything was organised just as we’d dreamt it. We would like to thank all hotel staff for their professional and helpful attitude. We highly recommend Hotel Rezydent in Sopot! It’s the perfect place to organise a wedding reception. In July we had our wedding reception at Hotel Rezydent and we would like to thank you for organising this special event in such a wonderful way. If someone is looking for a venue that will delight the guests and provide the feeling of comfort for the newly-weds so that they won’t have to deal with every detail, then Rezydent is the best option available. The location is also convenient, especially for guests outside the Tricity area. © 2017 Hotel Rezydent. All rights reserved!